DJ Enferno toured with Madonna, and mixes and creates for crowds of 50k people, around the world. But the crowd pictured here might be his biggest challenge yet. 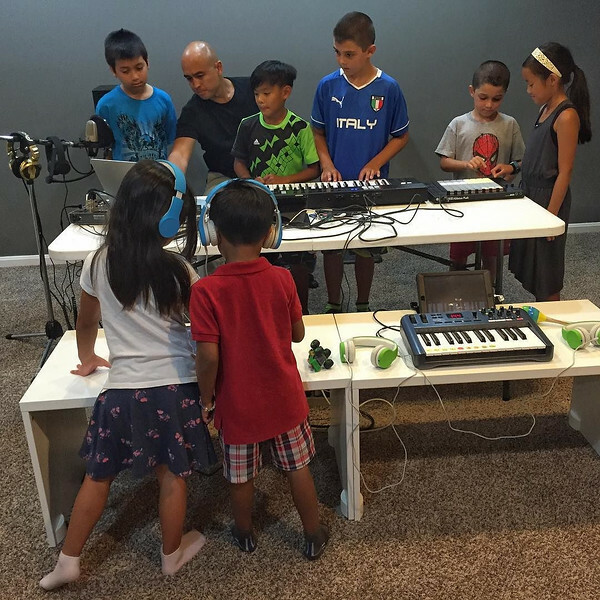 Kid Creator, his passion project, aims to help kids learn about and create their own music, and see it digitally, too. We connected with @DJEnferno (aka, Eric Jao) to accomplish the 2nd of 6 challenges on our @lonelyplanet #myweekendwanderlust video shoot: “Meet a Celebrity.” In the course of a one-hour session he harnessed the creativity and talent of an 8-year old songwriter and the instrumental work of a cast of students someday worthy of the clubs where he plays. Not only did these kids leave inspired and empowered, but so did we — as we admired what Eric does to revolutionize music education with children in the Washington, DC area.